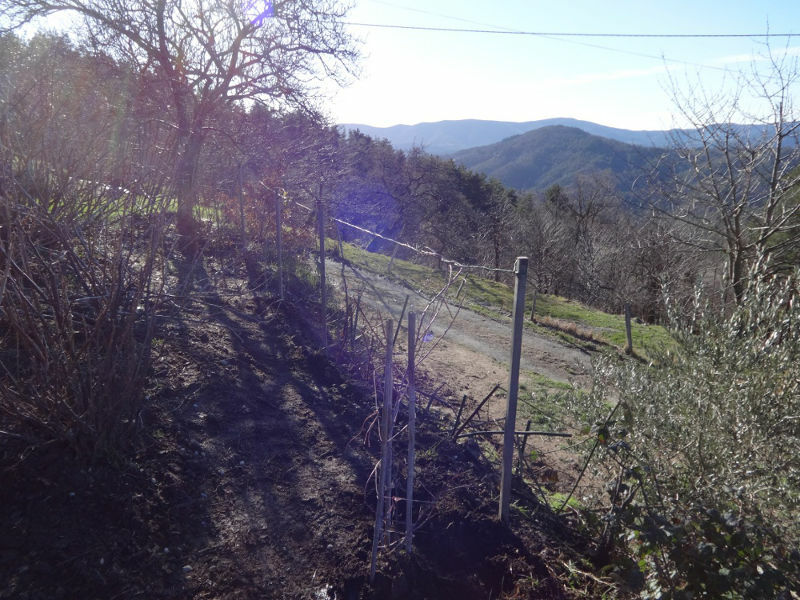 Welcome to the most productive patch of land on this farm – the soft fruit orchard. I would love to give you a dramatic and stunning early morning shot of the beautiful site. But it really isn’t that pretty. In fact, I can only see the structure in winter. And that’s a shame as it is in a prime location right in front of the potager, down and to the right of the main house. 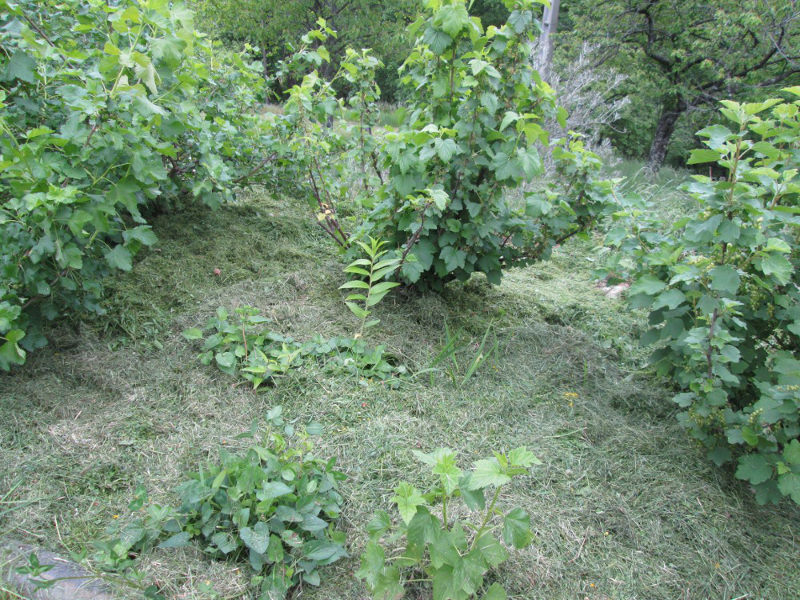 Once the shrubs get into growth you won’t see much but foliage and fruit and weeds and a slightly out of control picker, madly going round the bushes collecting kilos and kilos of fruit. The odd thing is that I haven’t looked back through my photos of this part of the garden for years. 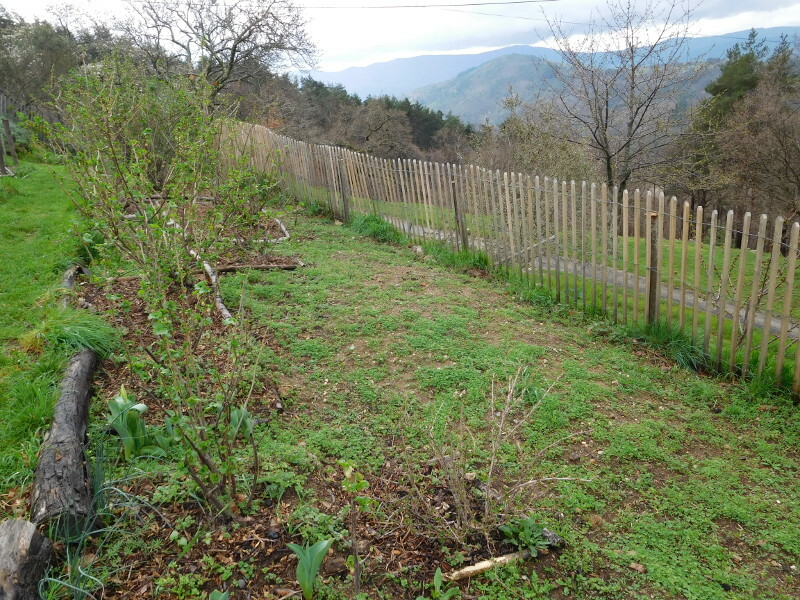 And I was surprised to discover how much landscaping I have been obliged to do here. Like all terraces, this one slopes. 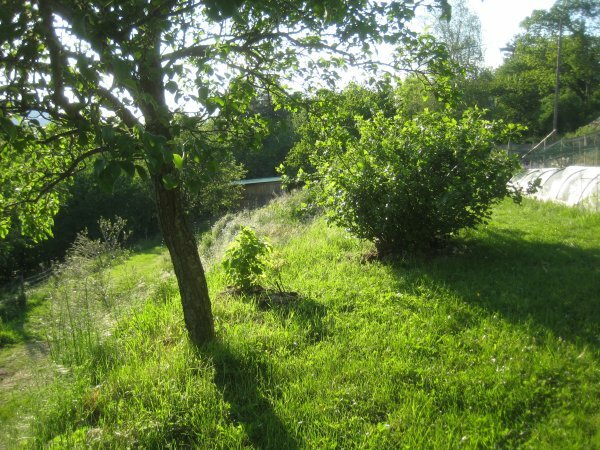 And when I finally hacked my way through the weeds to find the edge of the orchard, it was steep and quietly slipping down to the terrace below. 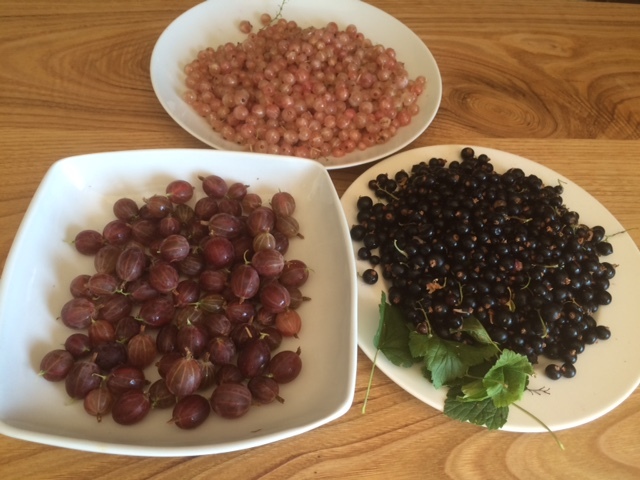 But in our first year here, we just harvested and marvelled and gorged ourselves on fruit. Well, I think the kiwai is no more. It was looking poorly when last I looked. But my, the jostaberries make up for any failing plant. Not many people know these shrubs. 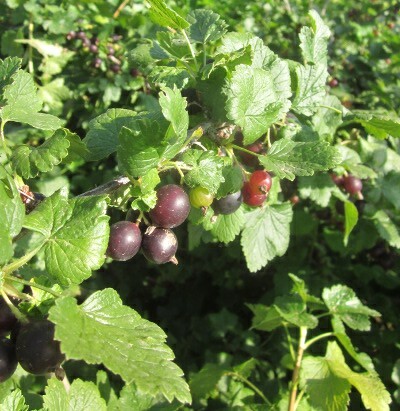 They are a cross between a gooseberry and a black currant. And have the hybrid vigour to make it a brilliant plant in any orchard. But you have to give it room. It dislikes being pruned and will grow in mad directions. And it crops heavily no matter the weather. We can easily pick two kilograms a day off each of our five plants and still not feel we are making a dent. 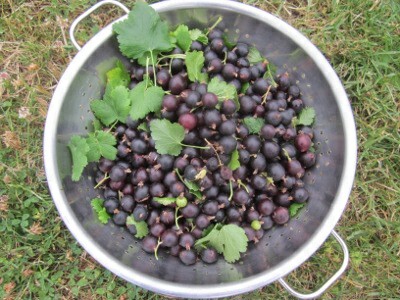 It makes fantastic tart jam, bakes brilliantly in tarts, and is the mainstay of my syrups and cordial cupboard. And I even turn it into a poor man’s kir. Jostaberry liqueur. 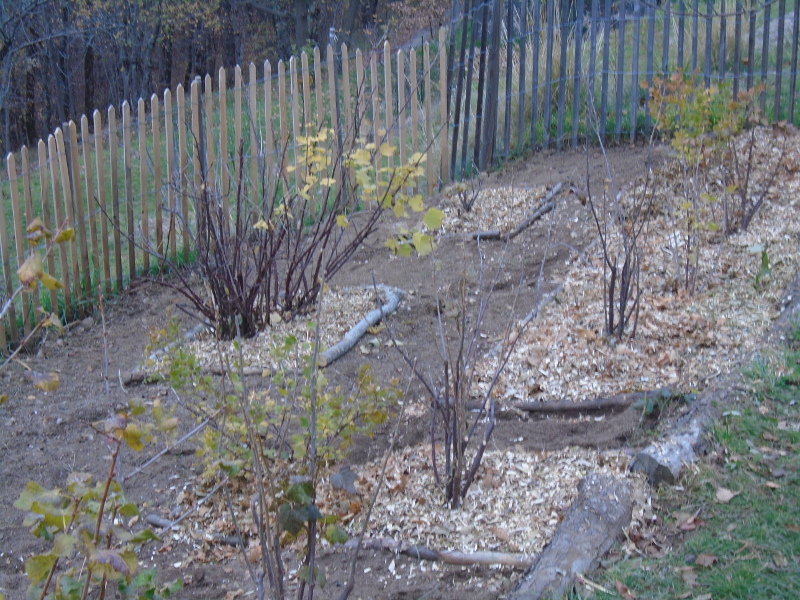 But before I run away with myself as the spokesperson for the Jostaberry Appreciation Society, back to the landscaping. 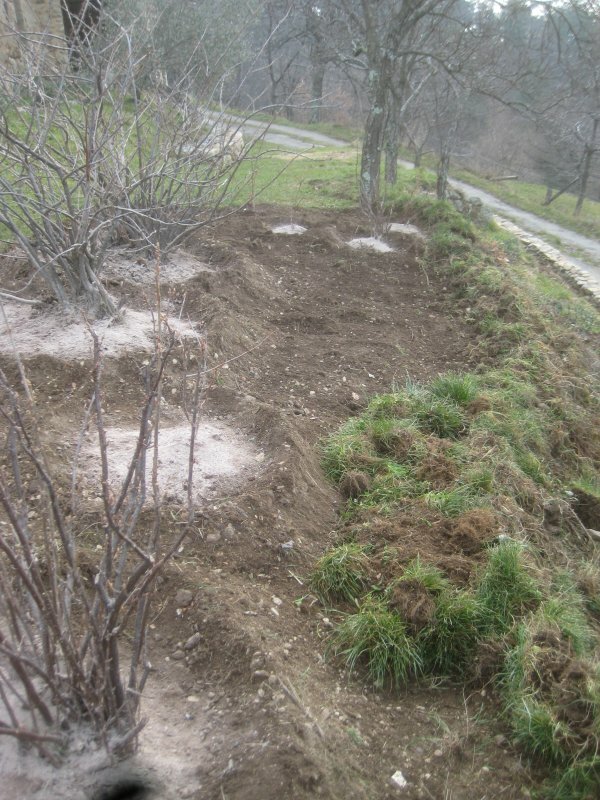 You can see in the picture above my method for building up the sloping terrace bank. 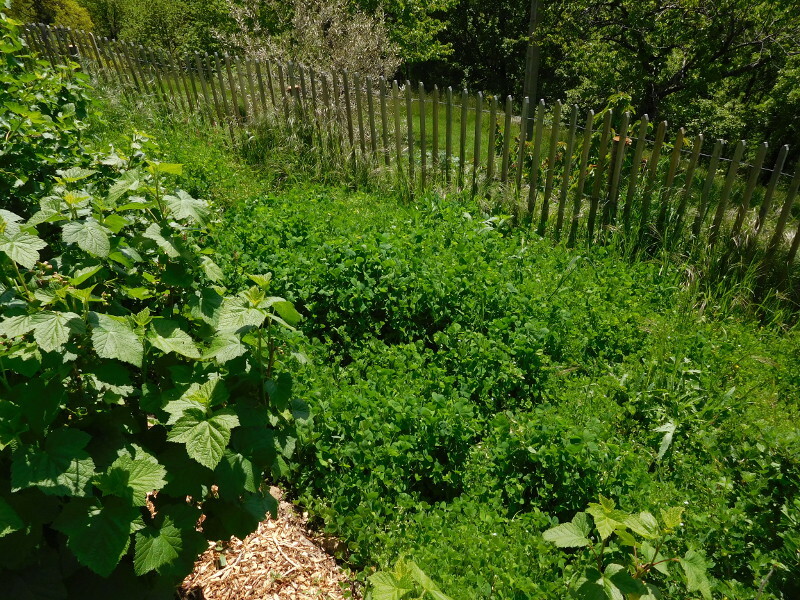 Every time I weeded in the potager or around the garden I would lob the weeds onto the edge of the bed and gradually build it up over a few months. Cover the entire area with weedproof fabric for the summer season when guests descend. And then in autumn you will have your edge. 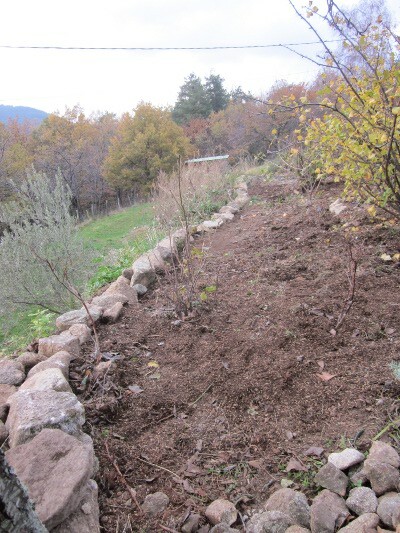 Next a small and simple wall and the narrow bed felt ready for more weeding and a bit more planting. I had some lovely gifts from my friend Teo who gave me the loganberry, tayberry and black raspberry which I planted along the back of the bed. And things just ticked over nicely until I was forced to rebuild the wall again. The floods of October 2013 (and boy have I felt repetitive writing that in almost every part of this farm tour) took away half of this bank. 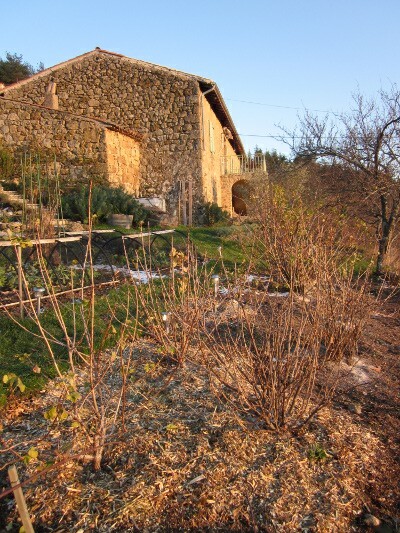 A massive wall of water surged down the mountain, rushed through the courtyard, down the potager steps, along half the potager and then took out this bank and the wall of the plum bank below. 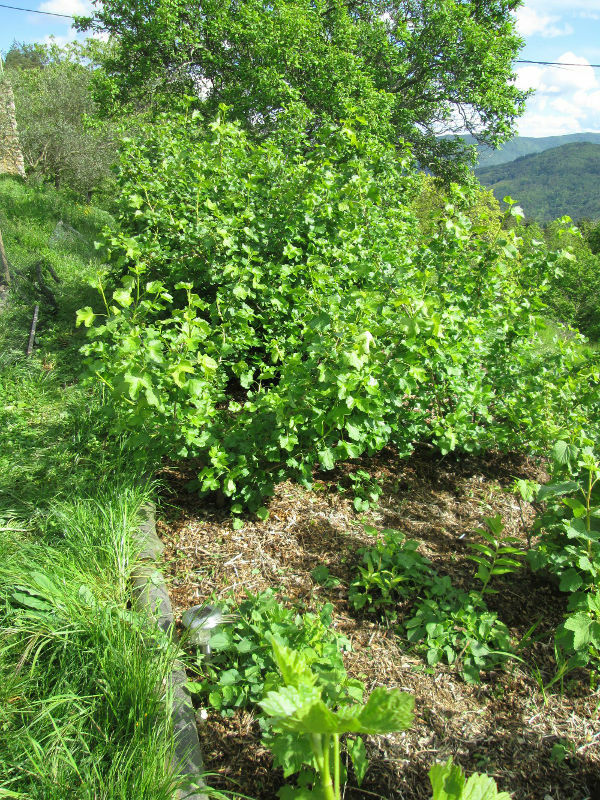 The tayberry and the loganberry ended up two terraces further down the mountain and would have headed towards the vineyard had the floodwater not subsided. Of all the places where we had damage, I found this the hardest one to fix. It took me months to work out how to get the soil back onto the bank. 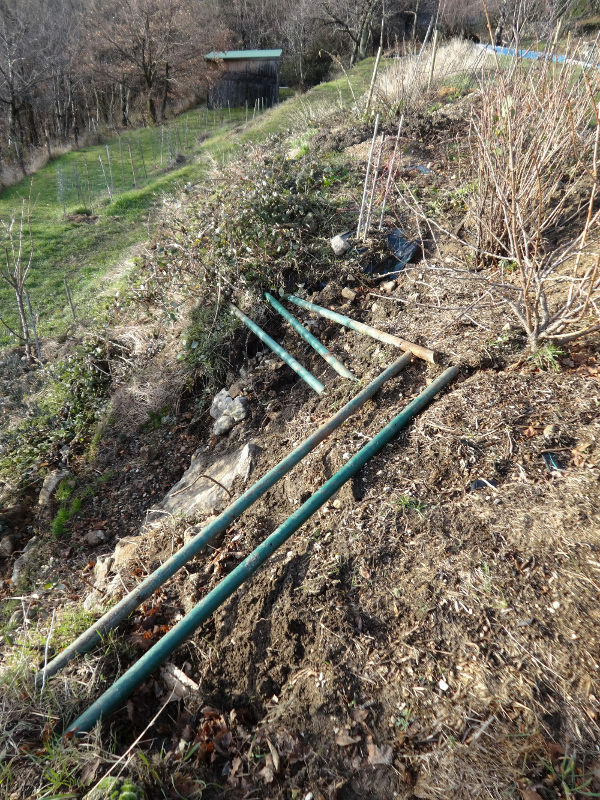 I used these solid metal poles I found in one of our basements to create a barrier, and then added wheelbarrow after wheelbarrow of squelchy topsoil which had ended up in the swimming pool. It wasn’t pretty. And it is still not done. I can feel the slope when I walk my way around the back of the jostaberry plants. I am almost back to where I was seven years ago. But I know what needs to be done. 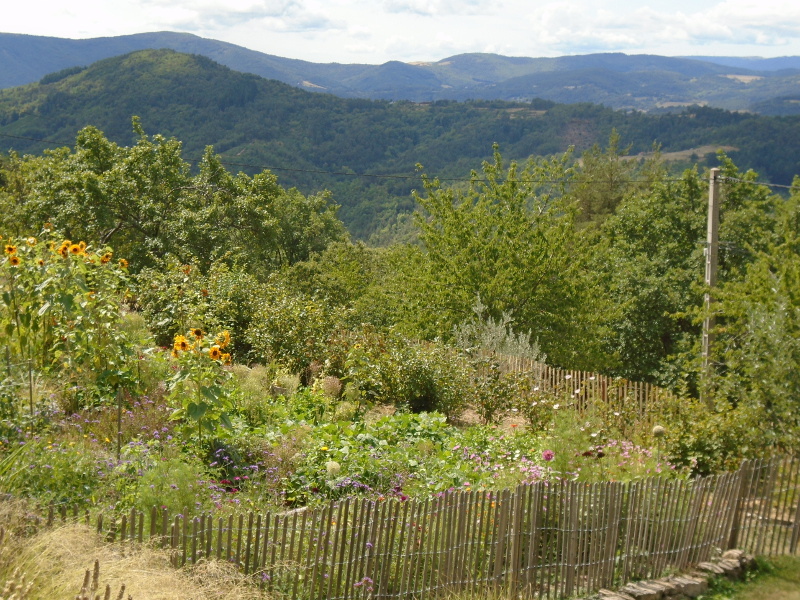 And at least the view from the soft fruit orchard is stunning and takes one mind off flood damage. Another year (2018) and I’m still modifying this part of the garden. 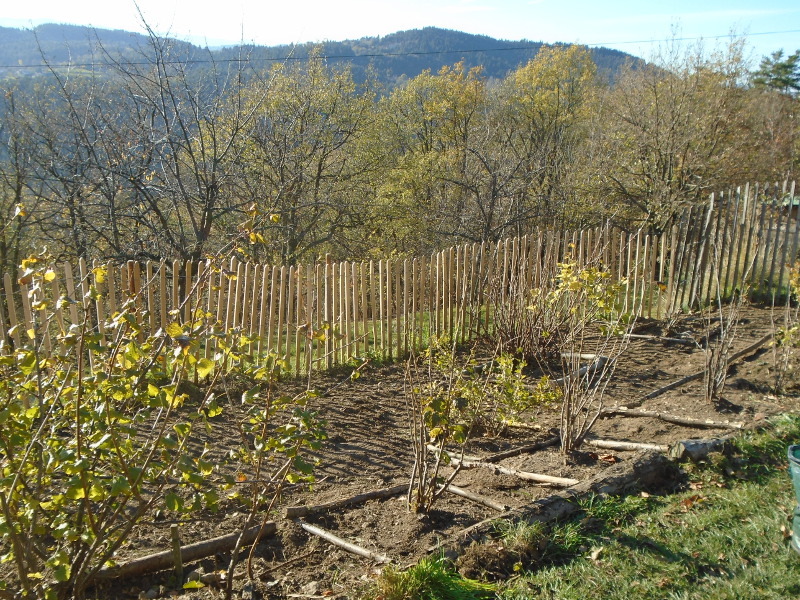 Since I last wrote I have fenced the entire potager. I was tired of meeting the deer early in the morning munching their way through the spinach and swiss chard crops. 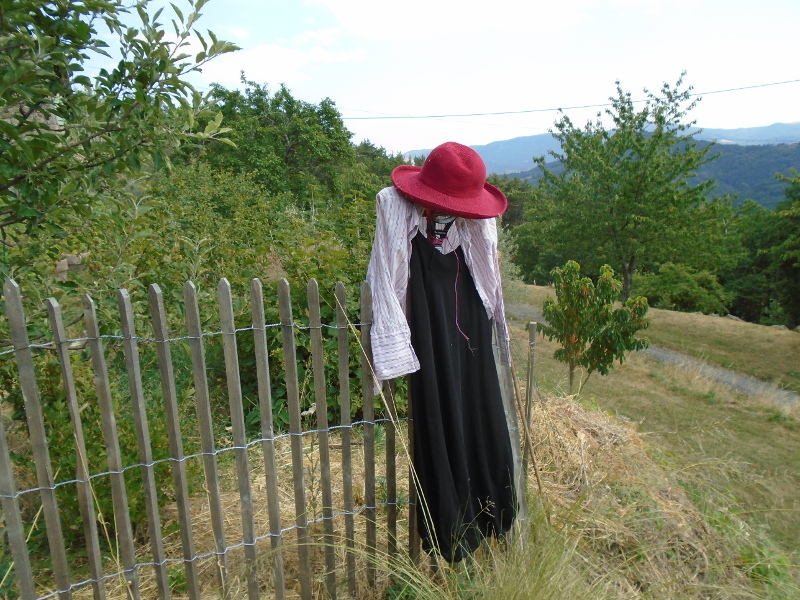 My attempts at a scarecrow were risible. And actually this fence, although marvellous at keeping out badgers, hares and wild boar, is still not deer proof. Hard droughts have meant the poor creatures come closer and closer to the garden to get some food. But for now, let’s go back to the heady days of thinking this chestnut barrier would work. 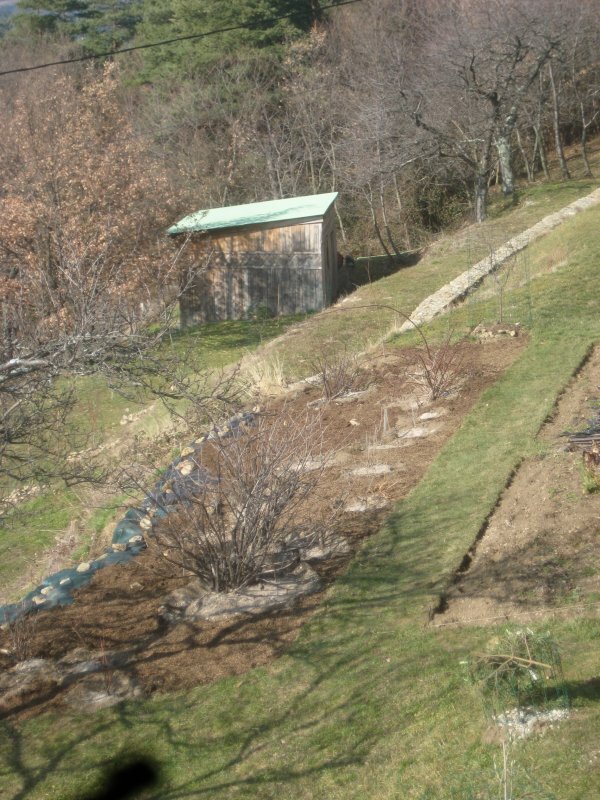 The best bit was knowing I wouldn’t plummet over the edge when I weeded. And weed I did. In 2016 I tried sowing the whole area with red clover. That took off nicely and looked fetching until about June. When it turned into a jungle. Again. 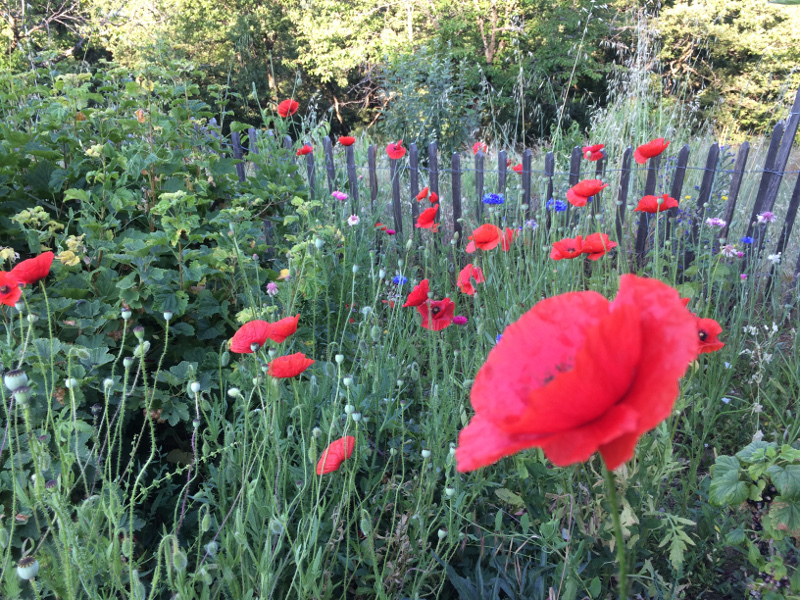 In 2017 I grubbed all that up and tried a wildflower meadow mix. Ah, the early spring moments of madness. The soil (although thin) was way too rich. It made me realize that I just love grubbing about in the dirt and spend way too much time on these preliminary parts of projects. And never tend my crops properly when they are romping away. One does learn a lot about oneself with this gardening lark. A new year will see me trying something new. I’ll leave off here so you don’t have to fall about laughing at my latest attempt. Thank goodness the fruit is delicious, even if I don’t keep on top of the weeds.